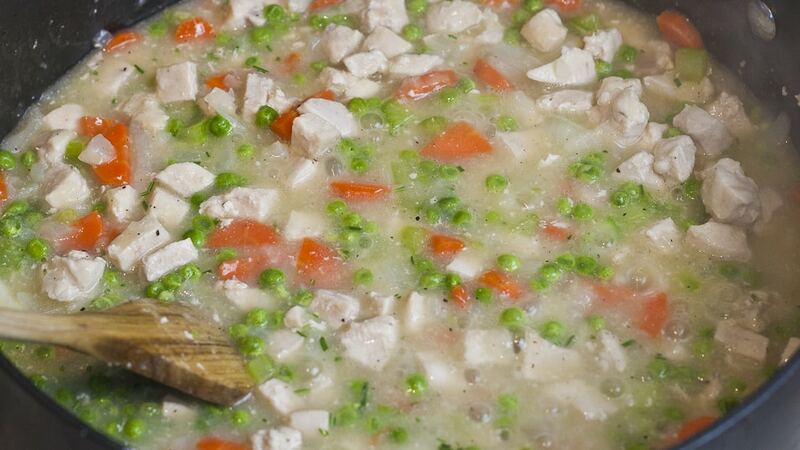 On a cold winter day, there is nothing better than a nice hot chicken pot pie. And cold it has been here in Calgary, -30 or lower. Thankfully a Chinook is coming and today it has warmed up a bit. The only thing I don’t like about Chinooks is the headache that comes with it. 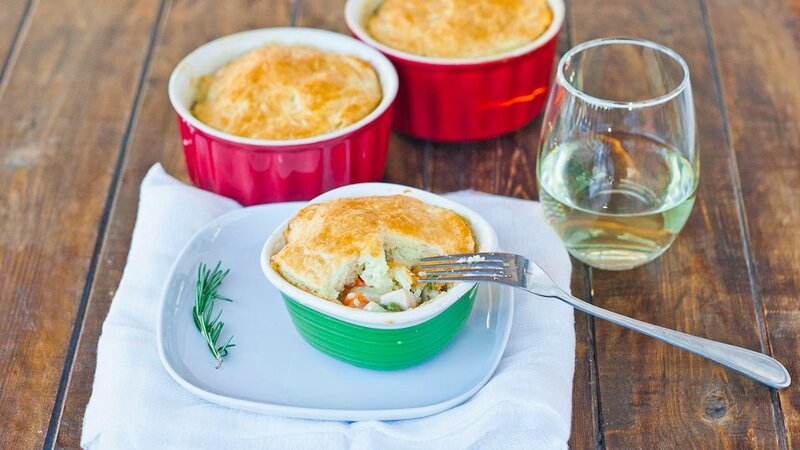 In any case, a good chicken pot pie is perfect for this kind of weather. 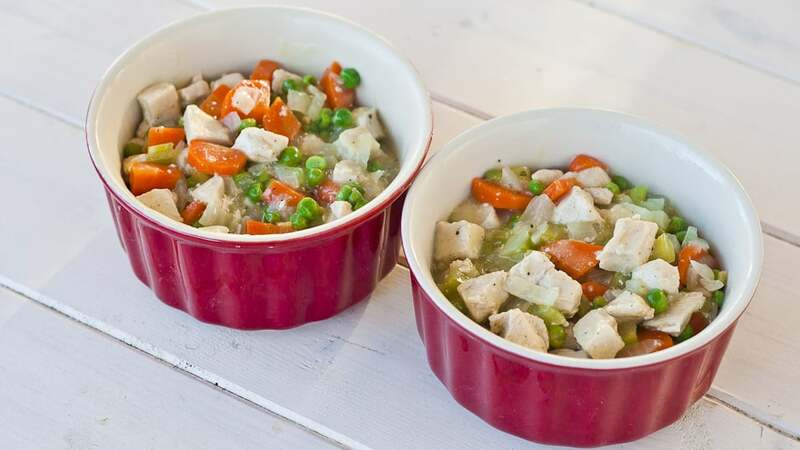 This recipe is very easy, the best part about it, is the crust, which really is just a buttermilk biscuit, but I thought it would be perfect for a chicken pot pie. You can find the recipe with instructions for the buttermilk biscuits here. 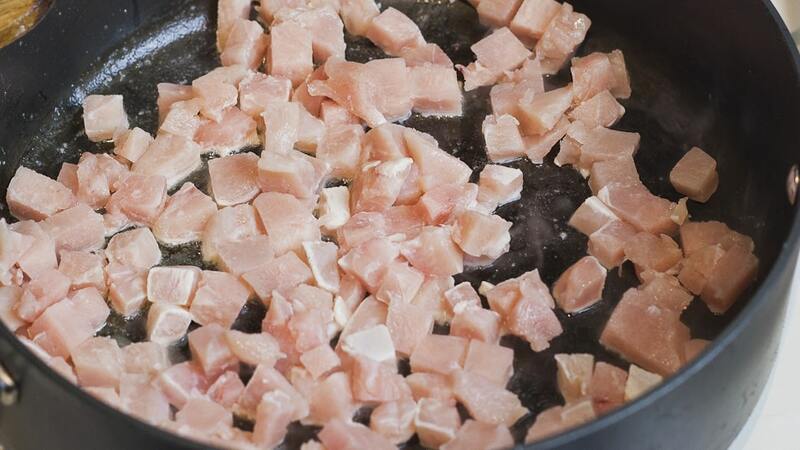 You’ll need 2 small boneless skinless chicken breasts which you need to cut into smaller pieces. In a skillet melt the butter and add the chicken to it. 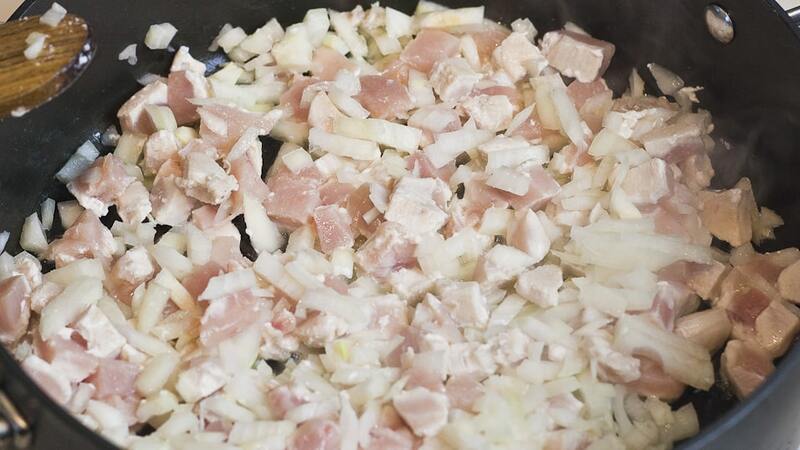 Add the chopped onions to the skillet and cook the chicken and onion for a couple minutes so the chicken is no longer pink and the onion becomes translucent. 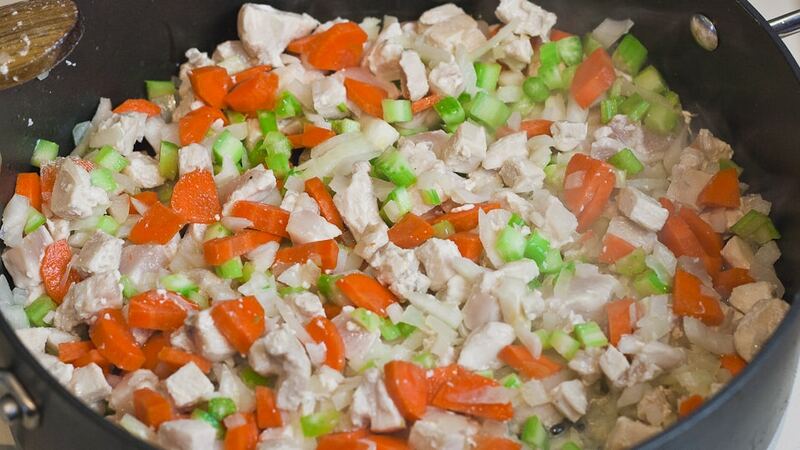 Add the chopped carrots and celery to the skillet. Sprinkle the flour over the chicken and vegetables and stir. Slowly add the white wine and chicken stock and season with salt and pepper. Add the peas and rosemary as well at this point, and stir. Bring to a boil and simmer for about 15 minutes so that the carrots and celery are tender. While the chicken mixture is cooking, cut the biscuits. 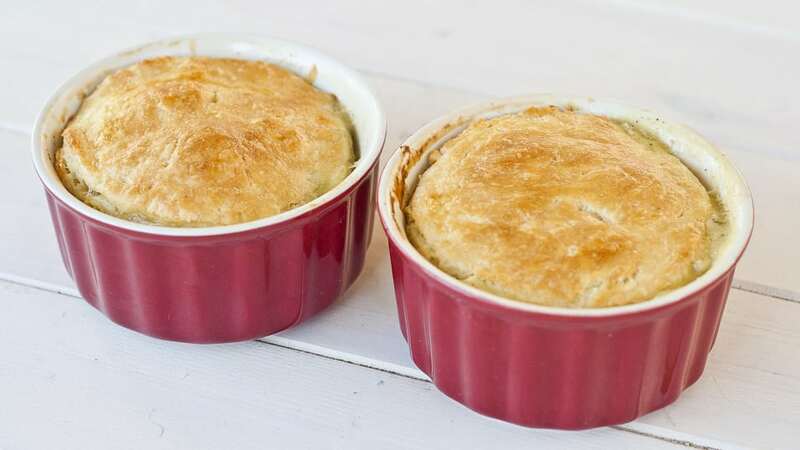 Remove the chicken mixture from heat and divide evenly among the ramekins. I used 4 ramekins for this, 2 bigger ones 4 inches in diameter and 2 smaller ones, about 2 inches. Place the biscuits on top of each ramekin and cut a couple slits in each. Brush the biscuits with egg and place on a baking tray and bake in a preheated oven at 375 F degrees for about 15 to 20 minutes, until the biscuits are nice and golden brown. 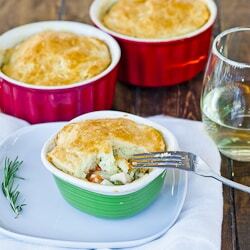 These chicken pot pies are very easy to make, and they go perfectly with a nice glass of white wine. In a skillet melt the butter and add the chicken to it. Sprinkle the flour over the chicken and vegetables and stir. Slowly add the white wine and chicken stock and season with salt and pepper. Add the peas as well at this point, and stir. Hi! I am dying to make theses from a long time ago but my only problem is I can’t find buttermilk biscuit dough here in Saudi Arabia. Is there anything I can use as a substitute? I’am anxiously waiting for your response. Thanks and more power! First of all you could use regular biscuit dough, but my dear here’s my recipe for buttermilk biscuits, they are awesome, so just make the dough and use that, if you have any dough left over bake some biscuits, you will not be sorry. 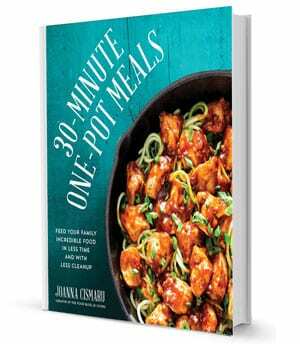 Thank you very much, I am going to make this tomorrow. I am so excited, I can’t hardly wait. By the way, I made the Japanese cheesecake and everyone who tasted it ask for the recipe. Tastes heavenly!!! 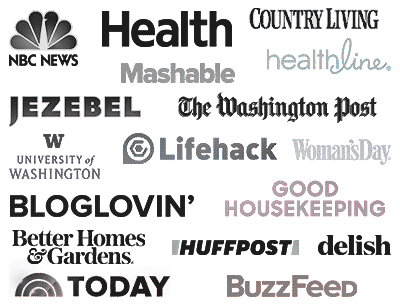 Thanks for these amazing recipes, you’re a blessing to me and my family. May God Bless You Always. Sorry to hear about your mom, hopefully she will recover soon. You could definitely freeze these, either way would work, but it might be faster if you completely arrange the ramekins with the biscuit on top and then freeze them, just make sure they are in freezer bags. I made these tonight! They were a huge hit. I was surprised by how much and how filling one little 2″ ramekin was. My 3 year old and 1 year old also loved these! Thanks! Sooooo delicious looking. 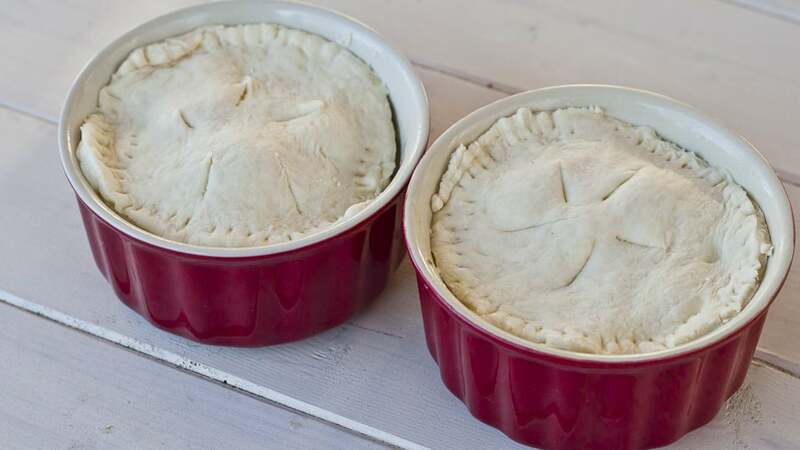 I made individual chicken pot pies a few weeks ago but not as good looking as yours! Yum Yum!